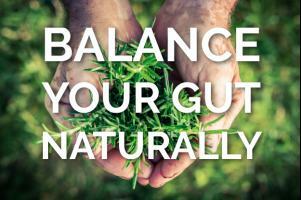 Ayurveda offers you simple, practical ways manage your health. It can help you understand your body and how to prevent or minimize disease. Ayurveda helps you experience food, understand its effects on your body, and naturally crave and choose the foods that are right for you. It has a sophisticated approached food which we've organized in this website. The practice of Ayurveda began in ancient India over 5,000 years ago. 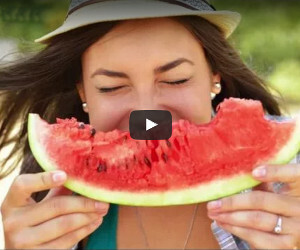 Balance Your Diet in a Week with this self guided ecourse. Ayurveda groups people into three general body types called Dosha. 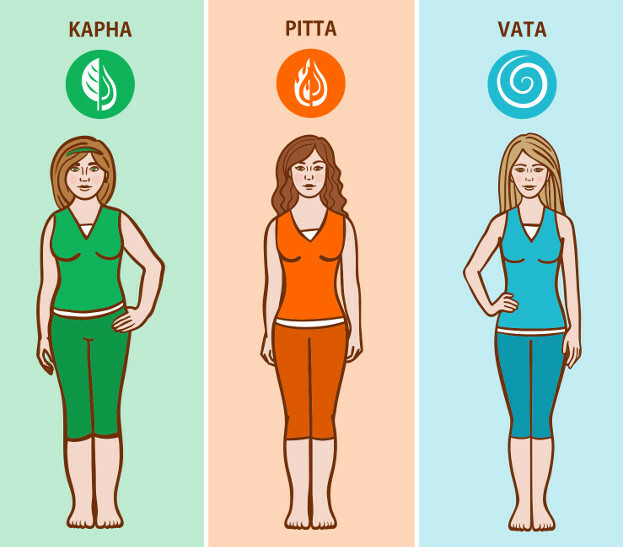 The three doshas are Vata, Pitta, and Kapha. Your body types describes three basic metabolic patterns of how you use energy. Vata spends energy. Pitta manages it. Kapha stores it. Dosha predicts the symptoms and diseases you are vulnerable to, and gives you a means to restore balance. Vata tends to suffer from deficiency. Pitta from heat disorders. And Kapha tends to suffer from stagnancy and conditions of excess. The gunas are the twenty most important reactions your body has to food. The gunas are also the different kinds of experiences you have being alive. The best way to get started in Ayurveda is by knowing the gunas. The first eight gunas are heavy and light, sharp and dull, hot and cold, oily and dry. For example bread makes you feel heavy but salads feel light. Black pepper is sharp on your tongue but cheese is dull. Chilies heat up your body but cucumbers cool your body down. Butter is oily but popcorn is drying. On Joyful Belly we've selected only those gunas that are most useful in cooking. The study of Ayurvedic Pharmacology details all the ways Ayurveda classifies food, herbs, and diseases. In Ayurveda, nutrition is based on the six tastes (western nutrition identifies only four tastes). Each taste affects your body in a unique way that can make you feel better, or worse, depending upon the person. Bitter is light and drying. Astringent is tightening and drying. Pungent is sharp and dry. Salty taste is liquefying and hot. Sour is hot, liquefying, and heavy. Sweet taste is heavy, gooey, and cold. Every season has a different taste and diet. Good circulation, good digestion and well nourished tissue are three cornerstones of good health. By the magic of digestion, when you eat an apple it becomes a part of your body. Whether the apple is hot or cold, acidic or basic, sugary or bitter, the body still has to transform the qualities of the apple into the qualities of a human being. Digestion takes work. Some signs of indigestion include gas, burping, acid reflux, diarrhea and constipation. Questions, Comments & Impressions of 'introduction to an ayurvedic diet'? 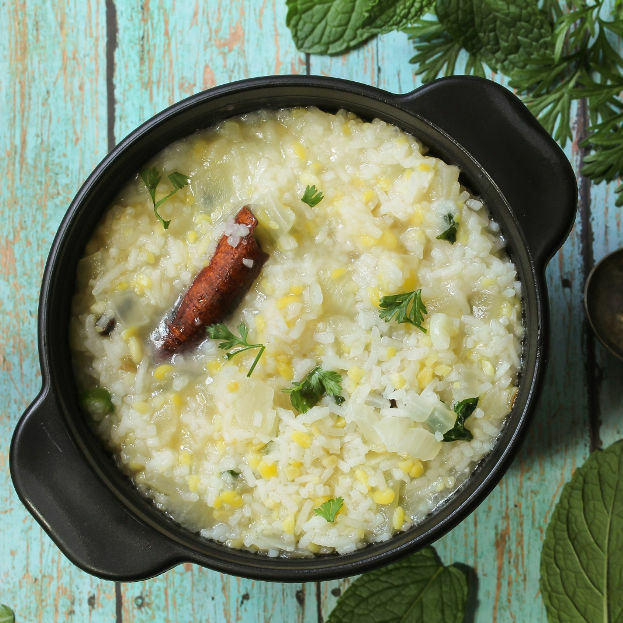 Is there something you'd like to know about 'introduction to an ayurvedic diet'? I am a vata, thin and dry and my Pitta/Kaffa are the same (2 each). Vata is supposed to have sweet, but my central nervous system cannot handle sugar/caffene/alcohol. How do you recommend I begin this process? Hi, Today I started the 3 day cleanse and detox recommended in my body book. I made the Kapha pacifying Kitchari according to the recipe. I don't want to hurt any feelings but I can't eat it with all those spices. The beans and rice and salt I could handle, but I'm not used to spicy food. I just can't eat it like that. If I made it plainer with just salt and maybe a little of one spice would it still work? If so, which spice and how much. Peanuts generally aggravate Vata because they are a legume and legumes are often challenging for Vata individuals to digest. That being said, every body is different. 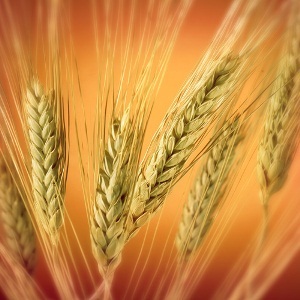 The foods that are said to aggravate each dosha are similar in quality to the dosha. For example, Vata is dry and legumes are dry in nature - hence legumes often aggravate Vata. You could certainly create an account for your daughter or use the questions from your quizzes to support better understanding of her. Angela, try cutting the spice amounts in half. You could also just simply use the cumin and cilantro and skip the rest. Generally speaking, yes. The combination of food and spices are balancing to the doshas indicated even though some of the ingredients by themselves may be aggravating.